For my internship I have to dress a little more professional then an average 18 year old (well now I'm 19 it's my birthday today... weird!) girl during the summer time. 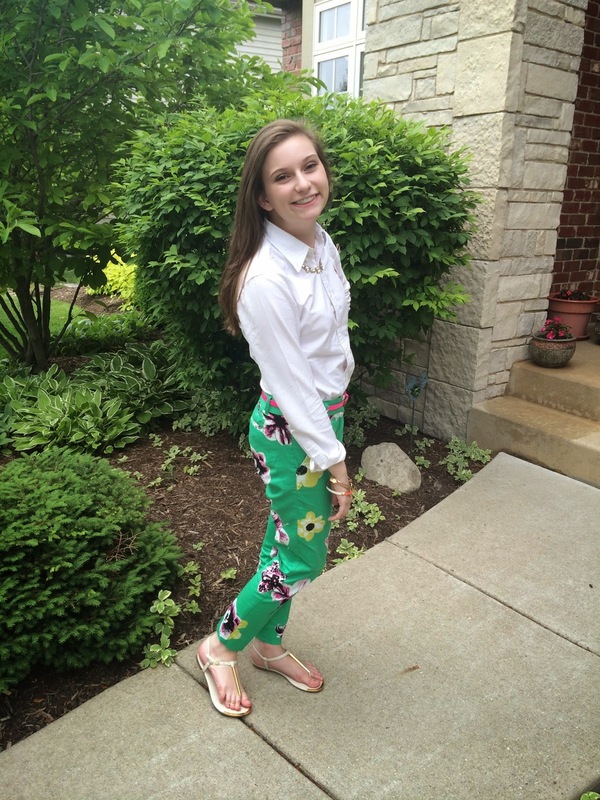 So, I try and find fun ways to wear color and patterns but still look like I am going to work. 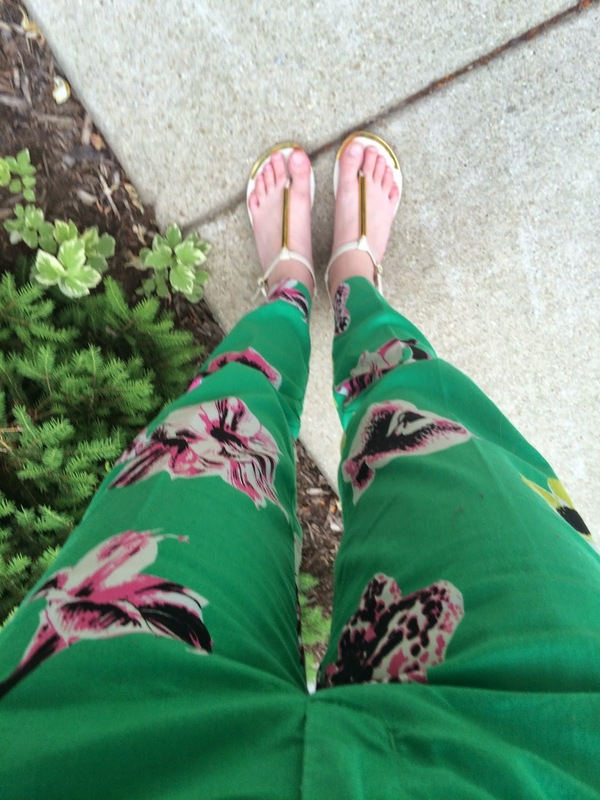 I found a happy medium with these fun green floral pants from J Crew. I am in love with this print! It is super bright but it isn't obnoxious. My friend got this print in a shorts version but they didn't fit me so I was a little bummed. 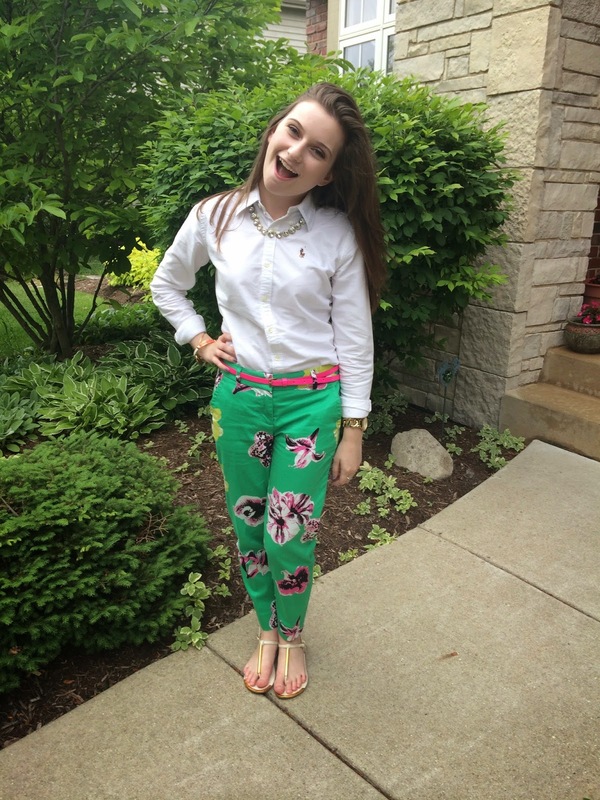 But, I later found the city pant in the same print and knew I had to get them! 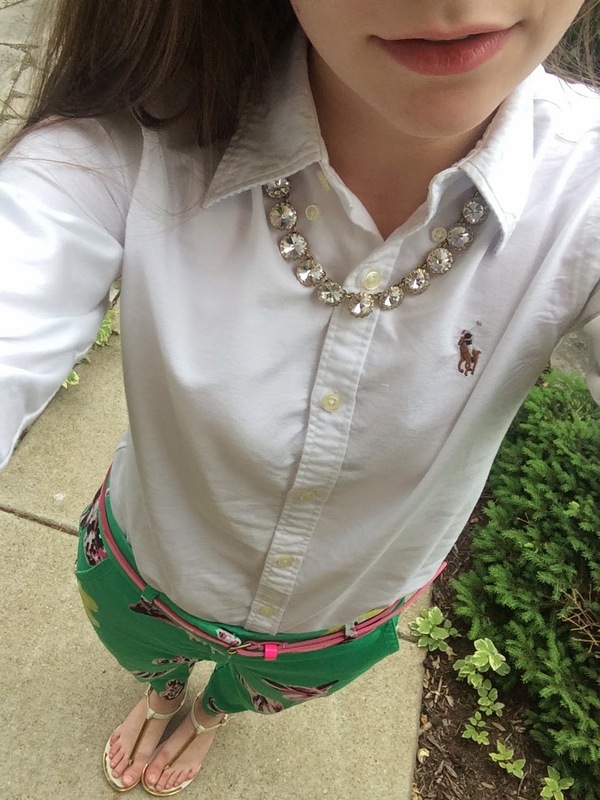 I paired the green pants with a simple white button down. Time and time again I talk about these Ralph Lauren Polo shirts but I can't say it enough! These shirts are honestly perfection. You can wear them super casual, professional, or for basically whatever. For accessories I wore a bright neon pink belt to accent the pink in the pants. 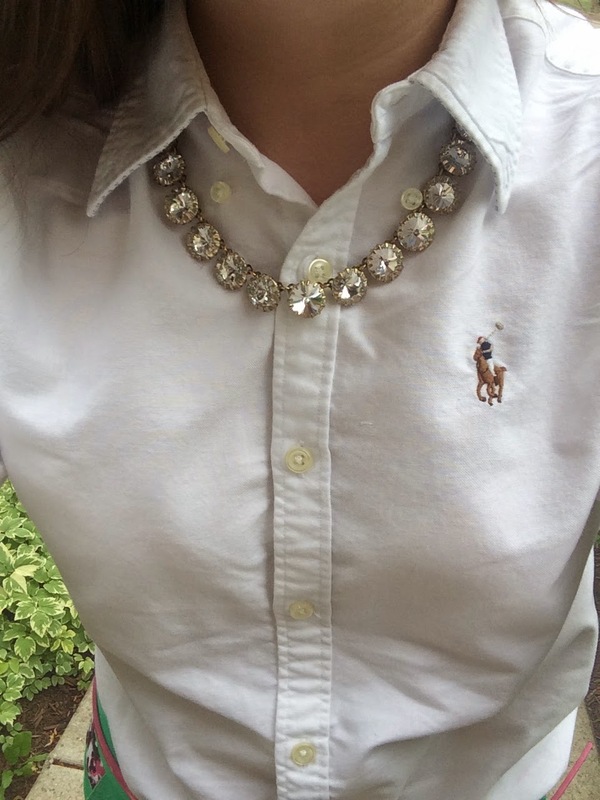 Also, I wore a classic J Crew statement necklace that basically everyone seems to have. But it is for sure one of my favorites! 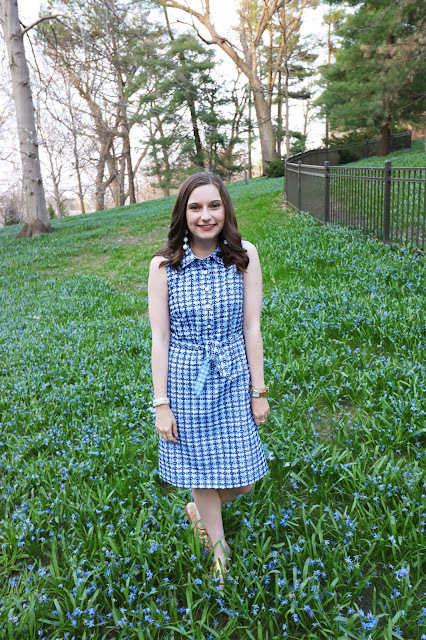 I also wore a simple pair of gold and white sandals. 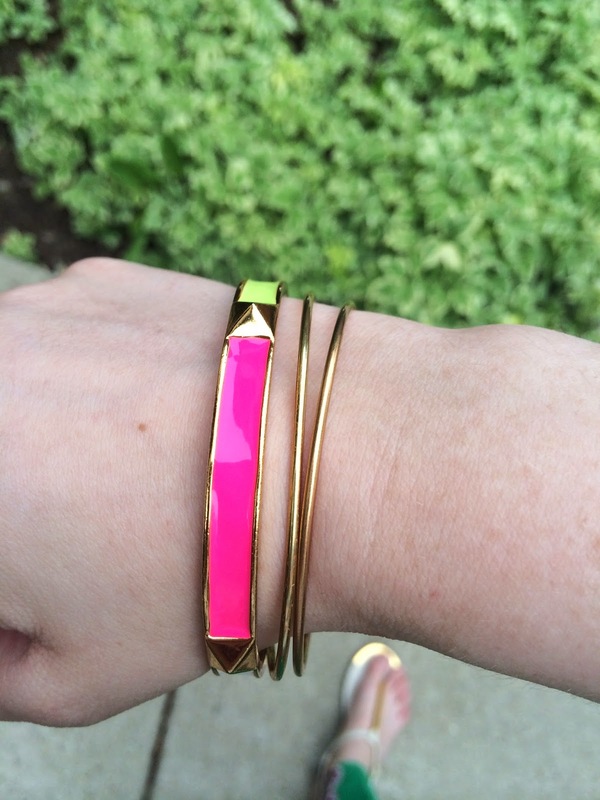 My bracelets include my favorite Alex and Ani bangles, a neon Kate Spade bangle, and a Pura Vida bracelet. 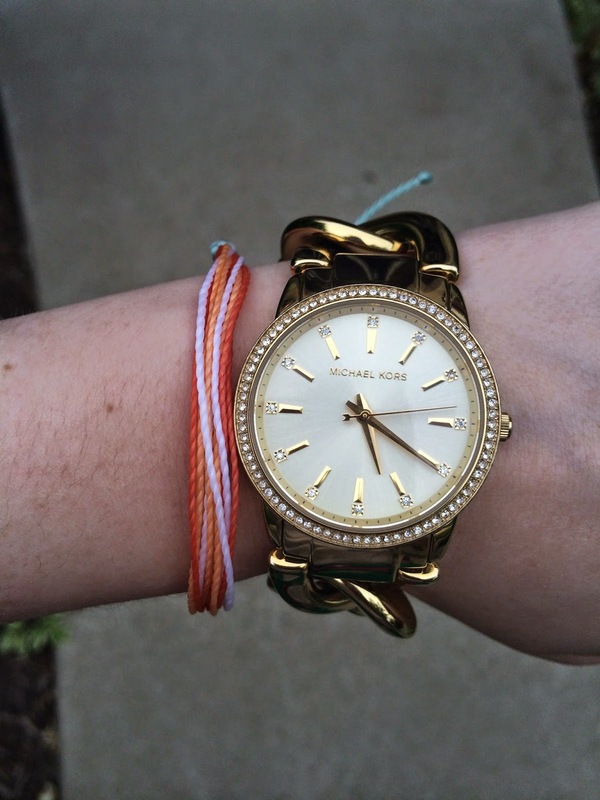 I am a campus rep for Pura Vida so I have been loving these bracelets for the summer! To get 10% off your oder be sure to use the code POLLITT10!